National Foreign Language Center at the University of Maryland seeks to create a common vision for high-quality world language learning and develop new models of professional development and support materials for language educators. PEARLL is one of sixteen National Foreign Language Resource Centers that work to increase the nation’s capacity for language teaching and learning. Develop an online collection of professional development tools and resources based on the Teacher Effectiveness for Language Learning (TELL) framework. Develop a suite of professional development opportunities, including asynchronous online learning modules, models for face-to-face and online coaching, and an annual intensive summer institute. Conduct research studies to measure PEARLL’s impact on teaching practices and student outcomes and to gather feedback on teacher beliefs and attitudes toward new teaching practices. Identify and promote networks of language educators to disseminate information, promote PEARLL’s initiatives, and facilitate capacity-building. What can PEARLL do for you? The Teacher Effectiveness for Language Learning (TELL) Project is a collection of products and processes that can be used to enhance the effectiveness of world language teachers. A series of self-guided multimedia learning modules to help educators see links among the professional growth goals they have identified in TELLfolio, the classroom library of practices, …..
A dynamic platform showcasing crowdsourced videos of high-quality instructional strategies. A self-assessment tool and online portfolio (aligned with criteria identified in the TELL framework) providing educators opportunities to consider their teaching practices and chart their professional growth. Through an annual summer institute, PEARLL offers in-depth PD experiences over multiple days. PEARLL develops and implements models for the coaching of language educators, to provide support for teachers and instructors throughout the academic year. A network of K-12 classrooms and districts developed in collaboration with the National Association of District Supervisors of Foreign Languages (NADSFL) that exemplify the application of TELL framework criteria and provide regional models that support language educators. A network that develops support models for community college language instructors as they navigate a unique set of challenges. Covering a variety of topics including language teaching principles, best practices for professional development, and research findings through regular newsletters and through the podcast We Teach Languages. An analysis of the impact of the Teacher Effectiveness for Language Learning (TELL) framework on teacher classroom practice, and how that impact varies by the modality of the training (self-directed online learning, one-on-one teacher coaching, and the summer institute). An examination of the impact of language educator practices, as influenced by PEARLL’s professional development, on student proficiency outcomes. An exploration of how educators adapt to new information about teaching practices, with the goal of informing the future design of LRC resources and professional development activities. CASLS is working with PEARLL to develop TELLfolio, a self-assessment tool and online portfolio aimed at collecting evidence of teacher practices in alignment with criteria identified in the TELL framework. PEARLL is working with NADSFL to identify schools and districts who can provide “model classrooms” to promote the application of the TELL framework criteria and allow PEARLL to expand access to critical information about language teaching and learning. 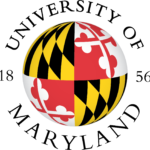 Faculty from the Multilingual Research Center in UMD’s College of Education are involved in a number of PEARLL initiatives, including aligning the TELL framework with current research on language teaching and learning, and coordinating the intensive summer institutes.